Quitting, I was raised to believe, is a moral failing. You should stay on the Little League team through the end of the summer, even if you’re not having any fun. You should stick it out as an altar server at church until the end of the eighth grade, whether you like it or not. You should never go home in the middle of a sporting event, until the last out is recorded or the final buzzer sounds. Yet I still find it hard to quit video games. I’m a completist and a historian by temperament, so I always like to start things at the beginning. In that spirit, I began playing The Witcher 2 for the first time earlier this year, as preparation for the release of The Witcher 3. I’m about 20 hours in. As much as I hate to say it, it’s time for me to tell the game that I’d like to spend more time with my family. It’s not you, The Witcher 2. It’s me. I like you, I really do. 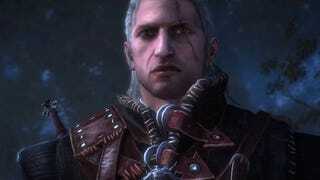 But I just can’t stop thinking about The Witcher 3. I haven’t played a minute of it yet, but I just know I’m going to love the way I feel when I’m around it. It really is my fault, by the way. I walked away from the game for a month—I had to travel for a magazine assignment; I had to lose 13 hours of my life to Hatred—and now I’m totally lost. I barely remember how to fight. It took me a couple minutes today just to remember how to make Geralt meditate. So it’s time to move on. The Witcher 2 has become, through no fault of its own, a dead-end game. Yet the game and I will still always have the way Geralt pronounces the “Triss” in “Triss Merigold” in the Polish-language dialogue, so that it rhymes with the last name of John Cleese. I’m a video game critic, and a video game critic must play games, just as a movie critic must go to the movies. But sometimes, as the prophet Joshua taught us in the Old Testament, the only winning move is not to play.